Bobby Dazzler is a thirst quenching Australian Blonde Ale with just a hint of bitterness. 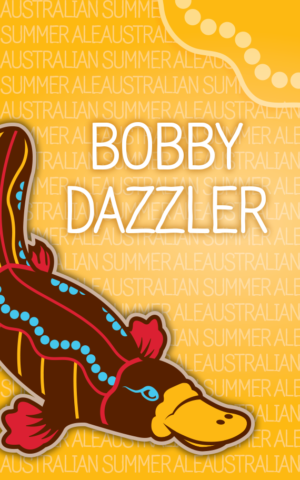 Brewed with local Houston honey and Australian Topaz hops, the Bobby Dazzler is a wonderful blend of Australia and Texas. The tropical fruit flavor of Topaz hops shine through in this beer. Bobby Dazzler was an Australian sitcom from the 1970s and is a term now used for something that is outstanding or excellent, i.e. "This beer is a Bobby Dazzler!"